ysl baby doll kiss & blush: still. geeking. out. Yep, I geek out about YSL Baby Doll Kiss & Blush a lot -- like yesterday in my Benefit Majorette post, as a matter of fact. And you can see YSL Baby Doll Kiss & Blush Rose Frivole (Nº 2) and Rose Epicurien (Nº 9) here along with the shade chart. 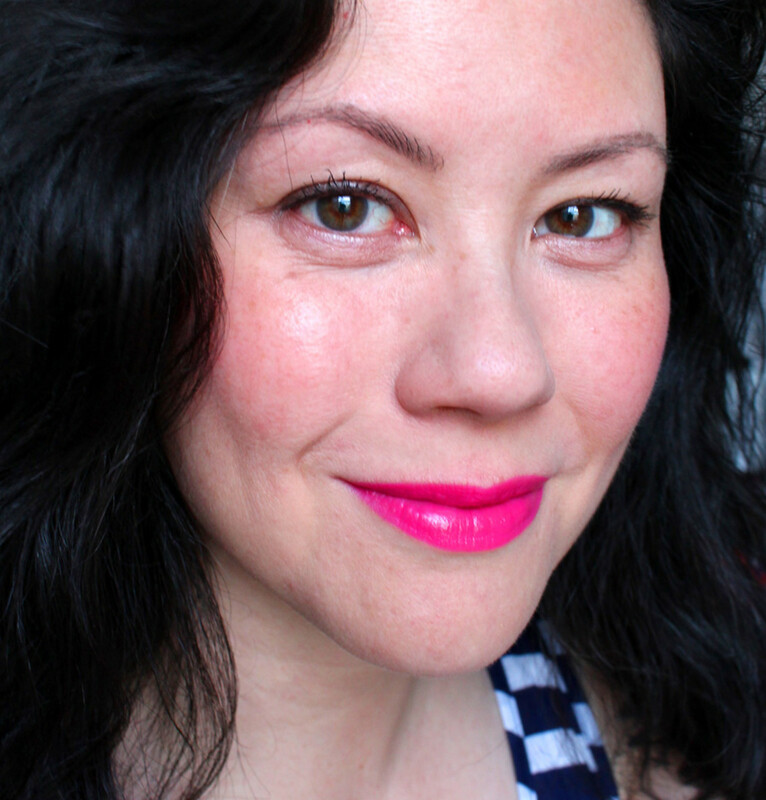 But this, YSL Baby Doll Kiss & Blush Fuchsia Desinvolte (Nº 1), is the one I needed most. I die over this fuchsia. It gives my complexion so. much. life. And here&apos;s how it looks on my cheeks. 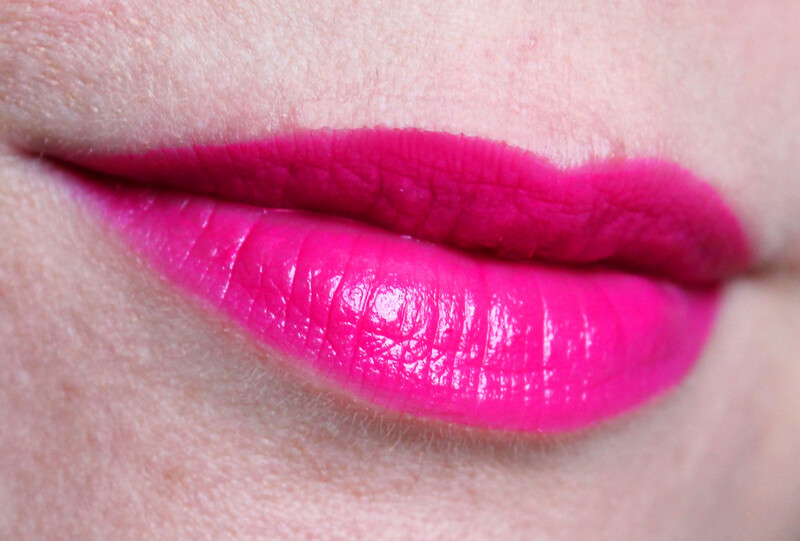 I adore Fuchsia Desinvolte because I need so little other makeup with it. Okay, so there&apos;s some concealer and BB, and a touch of bronzer to give my face shape. Then brows, lashes, a little liner. Final touches: a tiny dab of Fuchsia Desinvolte on each cheek, a careful application on the lips. 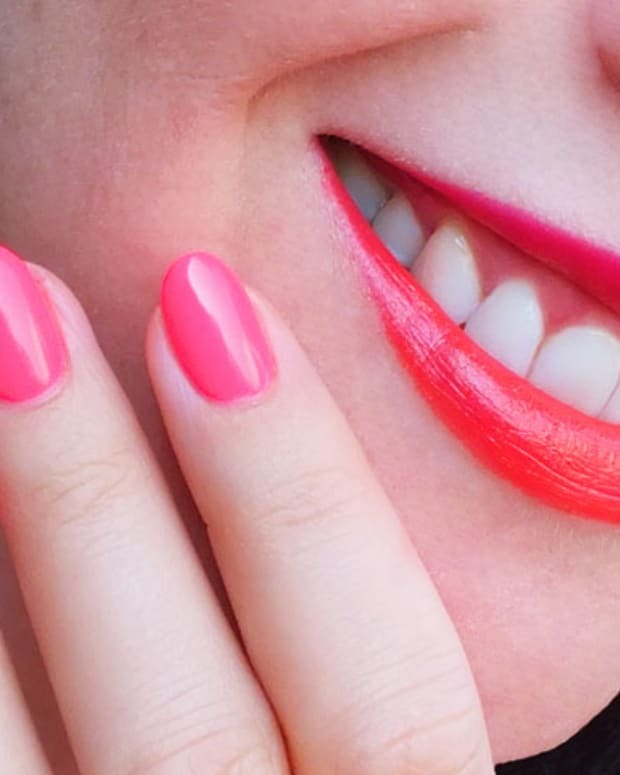 Oh, another reason to love: the modern satin-matte finish looks particularly striking against summer-dewy skin. ysl baby doll kiss & blush in fuchsia desinvolte -- you need it! Overall, YSL Baby Doll Kiss & Blush ($45 at thebay.com) lasts quite nicely and comfortably on lips (and cheeks -- zero stickiness). If you sip from a straw, though, or from a glass or cup, you&apos;ll need a touch up. And the best way to touch up with YSL Baby Doll Kiss & Blush is remove it entirely and apply a fresh coat, otherwise you get a dry-ish, cakey finish. 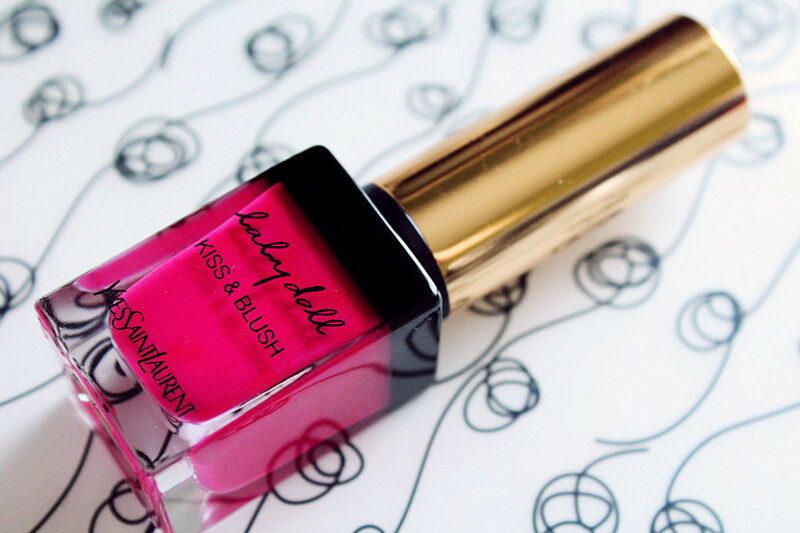 Seriously, why don&apos;t you already own YSL Baby Doll Kiss & Blush Fuchsia Desinvolte? You totes should. Hey, if you get it/have it, let&apos;s do a buddy photo!